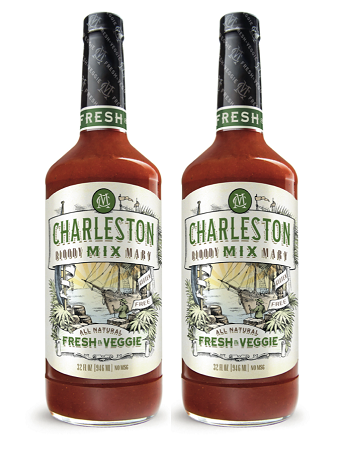 Charleston Mix Bloody Mary products are made with an indubitable collection of premium, natural ingredients that have been native to Lowcountry pantries for centuries. Our recipes are horseradish-free and feature a unique blend of habanero mash, apple cider vinegar, Worcestershire sauce and spices for enticing heat and flavor. Both mixes are also all-natural, gluten free and contain no MSG or high fructose corn syrup. The "Fresh & Veggie" mix is crafted to be vegetarian-friendlier for our loyal fans seeking a fresh twist. It's made from the same premium core ingredients as our "Bold & Spicy", but we dialed down the heat a notch and mixed in tangy carrot juice in lieu of the original beef base. Charleston Mix is the Bloody Mary, perfected. Copyright Charleston Mix. All Rights Reserved. eCommerce Software by 3dcart.